Philips has been working with the US Department of Veterans Affairs for 45 years. We share our knowledge, expertise and network to support and scale-up a broad range of initiatives that help connect people and ideas, based on the “pay-it-forward” principle – repaying a good deed to others instead of to the original benefactor. I am also convinced that businesses have an important role to play in addressing global challenges. Since its foundation in 1891, Philips has committed itself to doing sustainable business. We have a clear “North Star” approach – our fixed and guiding vision of making the world healthier and more sustainable through innovation, with a goal of improving the lives of 3 billion people a year by 2025. We fully embrace sustainability principles not only because of the benefits for society, but also because we believe that it is a driver for innovation and value. Our “Healthy people, sustainable planet” programme enables us to deliver on that commitment by creating value for our customers through sustainable products and services, leading by example in our sustainable operations, and driving sustainability through our supply chain. Our work is aligned with three of the United Nations’ Sustainable Development Goals (SDGs) – Health and well-being for all (SDG 3), Sustainable consumption and production (SDG 12), and Climate action (SDG 13) – they provide a fantastic lens through which to unite stakeholders and shareholders in a long-term approach. Social inclusiveness is a prerequisite for ensuring sustainable growth, and it is well established that economic growth and good health go hand in hand. This is why extending access to healthcare and the ability to lead a healthy life are fundamentally important challenges for all countries to address. Yet, according to the World Health Organization and the World Bank over half the population of our planet still lacks access to essential health services. Universal Health Coverage is not only a problem for people in emerging economies, but also in countries with a well-developed health system, where for a wide range of reasons, including affordability and geographic remoteness, patients may experience very different levels of care. The drive for affordable and effective healthcare delivery is also fuelling a shift from fee to value-based care – a system that aims to extend access to care and improve patient outcomes at lower cost. We believe technology is foundational to value-based care, whether it be an informatics infrastructure that allows us to actually measure value by systematically tracking outcomes and costs, or telehealth platforms that bring care closer to the patient, wherever they reside. As an example – Philips’ relationship with the US Department of Veterans Affairs (VA) goes back 45 years, with over 50% of all VA Medical Centres and clinics using our healthcare solutions. The VA operates the largest telehealth programme in the country, with 700,000 Veterans receiving telehealth services last year. Together, we recently announced a new programme, whereby at 10 rural and remote locations across the US, veterans will be able to interact with healthcare professionals, leveraging connected care technology, aiming to reach more people and improve their experience with the health system, at a lower cost. Digitally-enabled solutions are also compatible with the healthcare access needs faced in developing economies. One such example is the Philips Community Life Center (CLC) platform, which takes a community-driven, holistic approach to strengthening primary healthcare. Philips is working with key partners across the African continent, including Amref Health to understand how connected care can improve health access for 20,000 residents of Makueni County, Kenya. So, both in developed and emerging economies we’re shaping the future of health and healthcare to enable people to lead healthier lives and access the care they need to fulfil their potential – making sure that all people are on board. 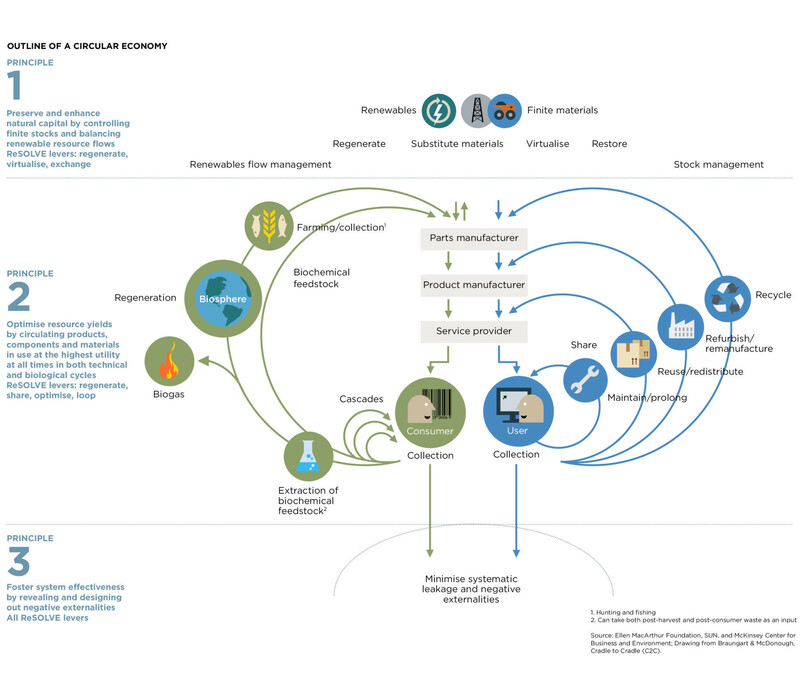 For a healthy, sustainable world for all, the transition from a linear to a circular economy is essential. We collaborate closely with our customers, suppliers, peer groups, governmental and non-governmental organizations and other stakeholders to accelerate the adoption of “circular” thinking, moving away from the linear model of Take>make>dispose to a circular model of Make>use>return. At last year’s World Economic Forum Annual Meeting, I strengthened Philips’ commitment to the circular economy by pledging to take back and repurpose all the large medical systems that our customers are prepared to return to us. We actively pursue the trade-in of equipment such as MRI, CT and interventional X-ray systems and take full control to ensure that all traded-in materials are repurposed in a responsible way. As co-chair of the PACE (Platform for Accelerating the Circular Economy) initiative, I’m driving the necessary change and implementation, and trying to assemble a coalition of like-minded organizations to make similar capital equipment pledges. In just one year, a growing group of industry leaders – including ASML, Cisco, Dell, HP, KPN, Mitsubishi Elevators and Vanderlande – is also starting to take full responsibility for the reuse, refurbishment and recycling of the capital equipment they sell. This will incentivize extending the life of products and stopping waste at the end of product use, while capturing the economic value of materials. From my standpoint as Philips’ CEO, there is a clear opportunity for the private sector to step up and deliver meaningful, measurable progress against the global goals. More now than ever, an inclusive relationship between private sector players, local communities, and the customers we all serve, is critical to making sure that we leave no one behind. This is why I support the WEF Compact for Responsive and Responsible Leadership – a vision statement for all-round stakeholder management in the societies we serve. As my grandfather rightly taught me: it is all about courage and optimism – courageous leaders must make complex dynamics and transformation issues discussable in a way that is open and engaging, which means going beyond just the financials. By focusing on relevance, and aligning corporate purpose and strategy behind social impact, I am certain that we all can be competitive whilst also unlocking sustainable value and inclusive growth, not only for our generation, but also for our children and grandchildren.